Since I first started my Makerspace at Stewart Middle Magnet School in January 2014, I have received a lot of positive feedback. I’ve given talks, presented at conferences, and shared about our experiences through my blog and through social media. Some of the questions I am most frequently asked are: Why should makerspaces be in the library? Why not just convert a classroom into a STEM lab? In a similar vein, I often hear from librarians who are struggling to get their administration/teachers/community to understand the rationale for having a Makerspace in their library. Aren’t those kids just playing? Shouldn’t libraries be quiet and clean? How does this tie in with the curriculum? How we react to these types of questions are crucial in our advocacy for our spaces. Here’s some ways to respond. 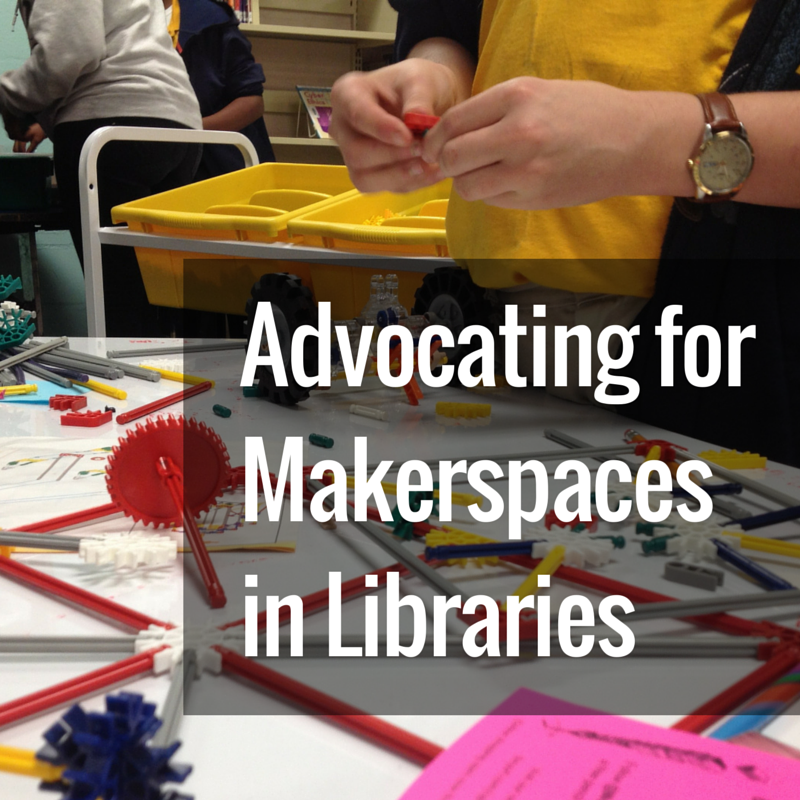 Why should makerspaces be in the library? This has a lot to do with the philosophy behind libraries. 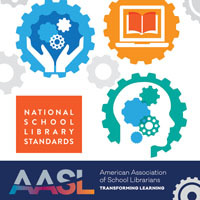 While it might vary from one person to the next, most would agree that one of the main missions of the library has always been to make resources and materials accessible to all, regardless of socioeconomic status, intelligence, status (gifted, special education, etc), gender, etc. Traditionally, these resources were print materials like books, periodicals and reference materials. In the past twenty years or so, this has expanded to include access to digital resources and tools, like internet connected computers, eBooks, databases, web tools, etc. I feel that this is now evolving again to include tools for creation. Makerspaces are resources and materials that our students need access to, both for class research and for exploration. It makes perfect sense for these tools and materials to be made accessible to students in and through the library. Why not just convert a classroom into a STEM lab? If you’ve got a classroom available to turn into a tricked out STEM lab, go for it. But don’t do that instead of creating a library makerspace, do it in addition to a library makerspace. The problem with creating a closed off space is that it severely limits student access. Not every student will have a teacher who will take them to the STEM lab. Many students who are in lower level classes might never get access. And even if administration sets up a schedule where every student gets to visit the STEM lab, their visits will be time limited and likely focused on a specific task, rather than allowing the student to explore individually. On the other hand, every student has access to the library. 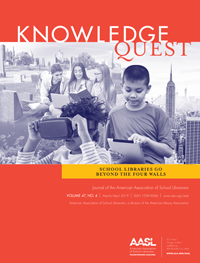 Visiting the library is not contingent on a student being in an advanced science elective or having stellar grades. By having a makerspace in the library, EVERY student at school can have the opportunity to use it and learn and grow. They can visit on their own schedule and they can explore projects and concepts that are of interest to them. Aren’t those kids just playing? There is a great deal of research available now that children and young adults can learn through play. What often looks like “just play” to adults is actually a reflection of much deeper learning. Two students building a house out of LEGOs together are learning collaboration and teamwork. A student designing and redesigning his project to get it just right is learning about the design process, innovation and critical thinking. A student sharing the story behind the K’nex space station she built is expressing storytelling and creativity. All of these skills will help them in their academic classes and throughout their lives. It’s far more than “just” play. Shouldn’t libraries be quiet and clean? These aren’t your grandmother’s libraries and that’s okay. Libraries are evolving. They must evolve, or risk becoming irrelevant. There should be quiet spaces available in your library for students who need that for their learning style. But many students today learn best in kinesthetic, noisy and messy environments. Lectures and worksheets just don’t do it for them. They want to get their hands dirty, dig into a project, figure things out for themselves. If we want our students to learn to be innovative and creative, this type of environment is essential. It’s okay to have noise and mess in the library – it means that your students are actually using the library and maybe even learning something while they’re there. How does this tie in with the curriculum? There’s all sorts of ways in which makerspaces can tie in with curriculum. There can be passive maker stations related to a concept that’s being taught, such as designing fractals to tie in with math. 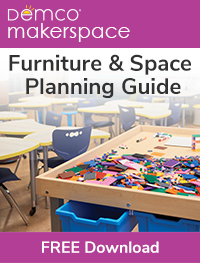 Librarians can develop collaborative, hands-on lessons with science teachers and other subject areas that utilize makerspace resources. And makerspaces do much more for students than tie into standards. Through making, students are learning vital 21st century skills like innovation, creativity, collaboration and critical thinking. These skills can help increase their success in all classes. As with any debate and discussion, make sure to always frame your responses in a positive, student-center light. Our main goal should always be to create a dynamic learning environment where students can thrive. You may or may not completely win over the naysayers, but it’s pretty hard to argue with someone who is passionate about seeing their students succeed. Well said Diana, short and to the point with good references to back it up. Brilliant responses to questions asked over and over by administrators. You are really trailblazing for future ready learners and helping the rest of us follow along.